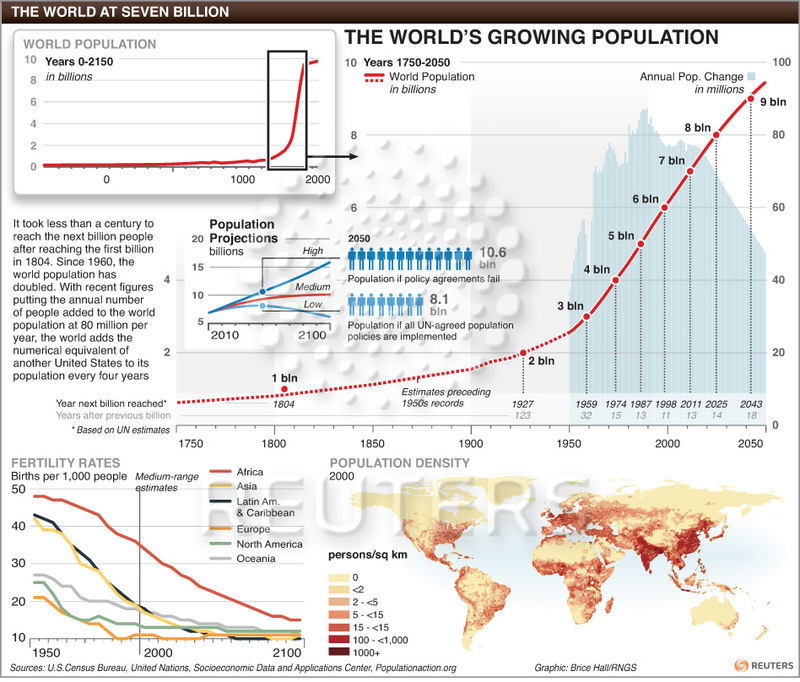 Last week, global population hit the 7 billion counter! India's share in the world population pie is a whopping 17%! While we grew at a still high 1.76% per annum since 2001, it is lower than the 2.13% per annum growth rate we generated between 1991 and 2001. 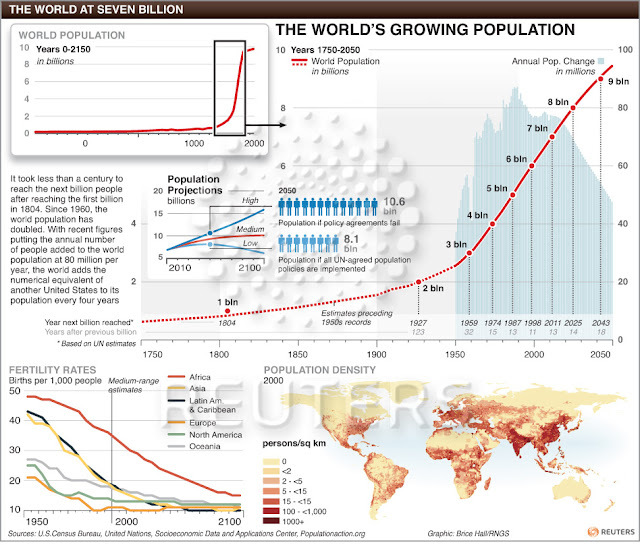 At the current rate of population growth, we will overtake China in a matter of few years. In a country like India with huge income disparities and social and economic tensions, a fast-growing population places enormous pressure on resources. 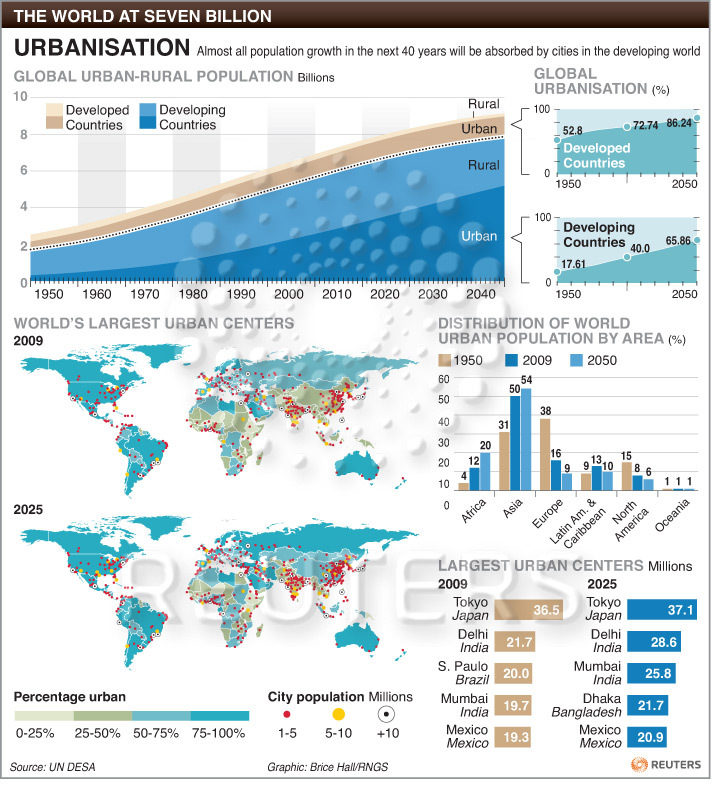 On the Reuters blog, I found four interesting infographics on global population numbers, including on the attended themes of urbanisation, ageing, and poverty. I do not know if the world is running out of resources to feed our ever growing numbers but I am sure that at the current pace of consumption we are living on borrowed time. Click on the graphics for larger views. 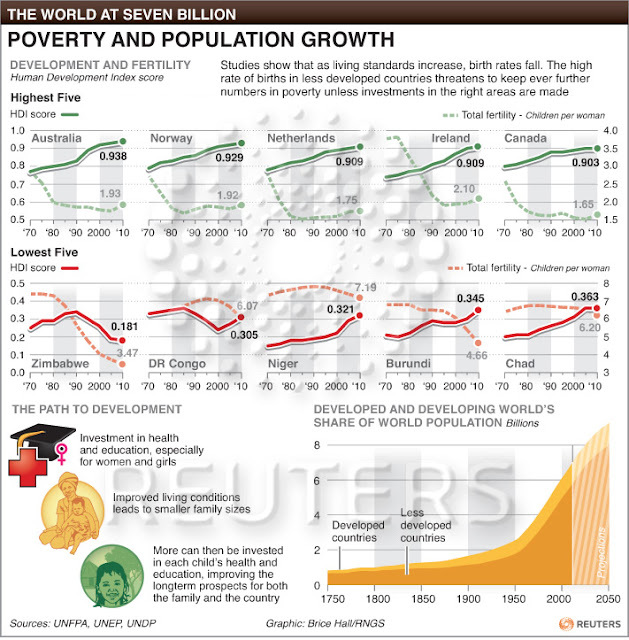 How can we actually define what is overpopulation ? Is there a reason to worry ? I do think that we have enough resources like food available in the world right now, but its not efficiently used. Poverty is a definitely a concern, yet nothing much is done to address it.